Godfather actor Gianni Russo claims he had an affair with Hollywood icon Marilyn Monroe when he was just 16 and knows how she really died. 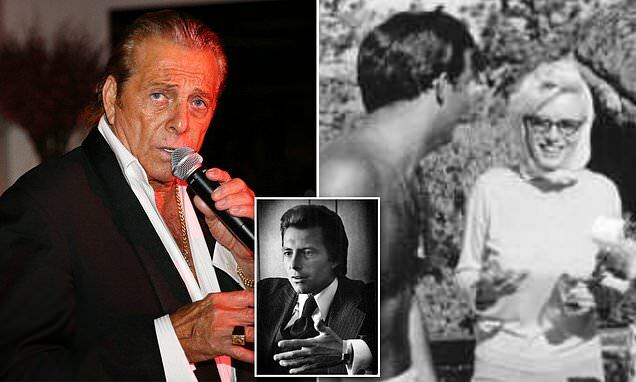 Russo, the Staten Islander who played Carlo Rizzo in The Godfather, says Monroe didn't die of a barbiturate overdose as her autopsy proclaimed. He claims she was murdered in cold blood. The 75-year-old says that she was killed by none other than Robert Kennedy, who orchestrated her death because he didn't want news of his and John F. Kennedy's involvement with the star to go public. 'It had to be Bobby. No one else would kill her. The mob would not have done it. They liked her. She was that party girl. Give her a couple pills, a couple drinks and she’ll f**k everyone,' Russo said to the New York Post. Russo claims to have shared an on-and-off affair with Monroe for years, starting when he was 16 and the actress was 33. He even has a picture with her just three days before her death on August 5, 1962. In the picture he looks at the star, who dons a scarf on her head and sunglasses, at the CalNeva Lodge, a resort of the California-Nevada border.